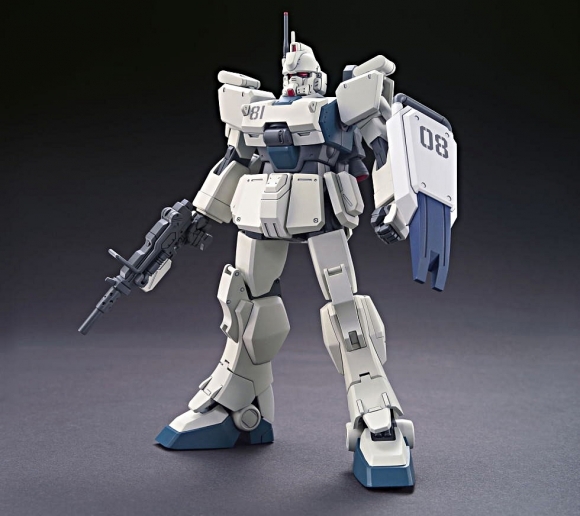 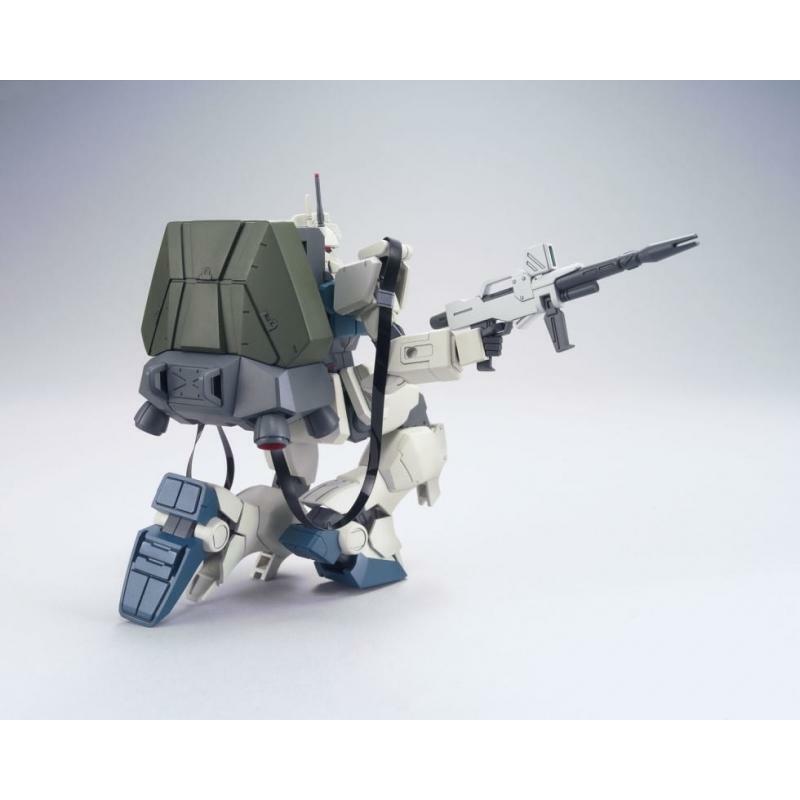 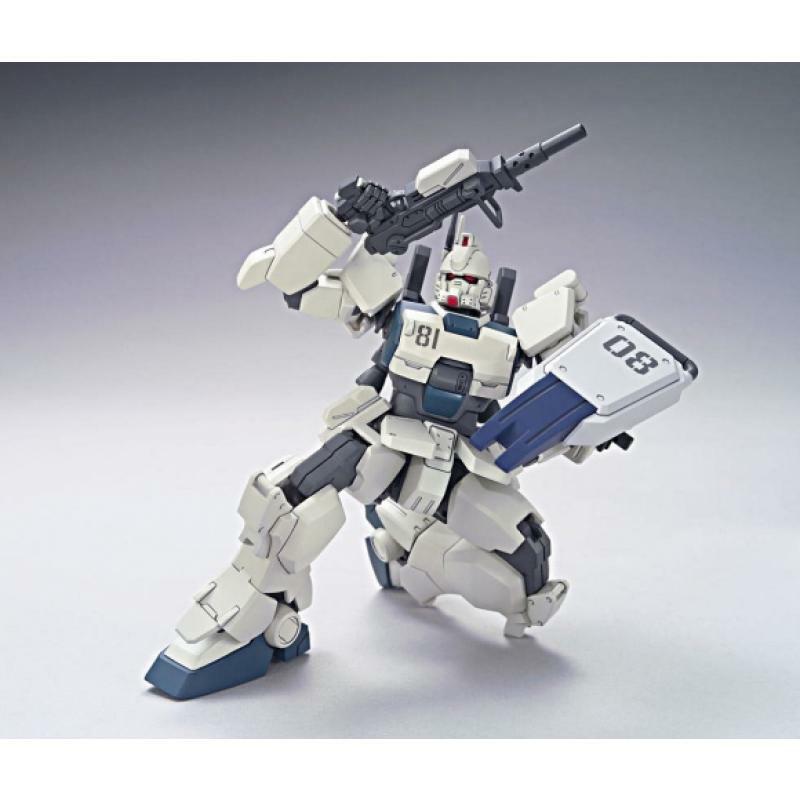 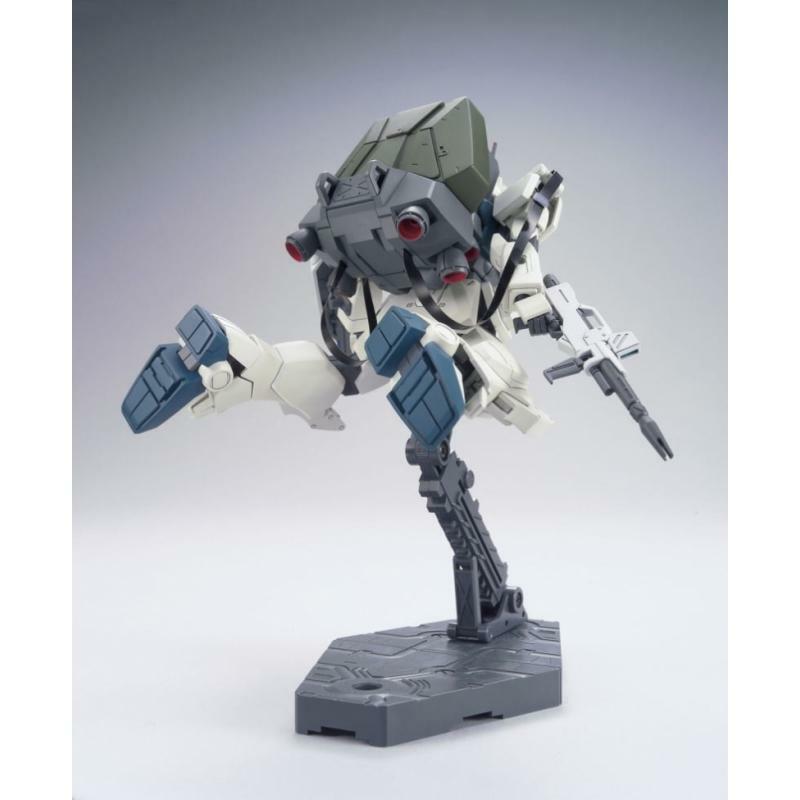 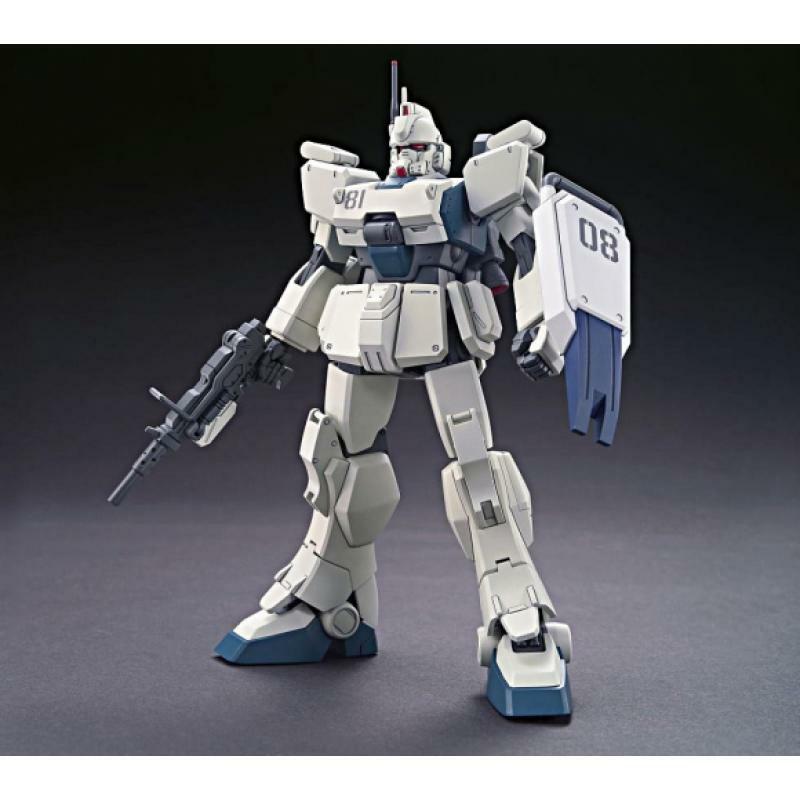 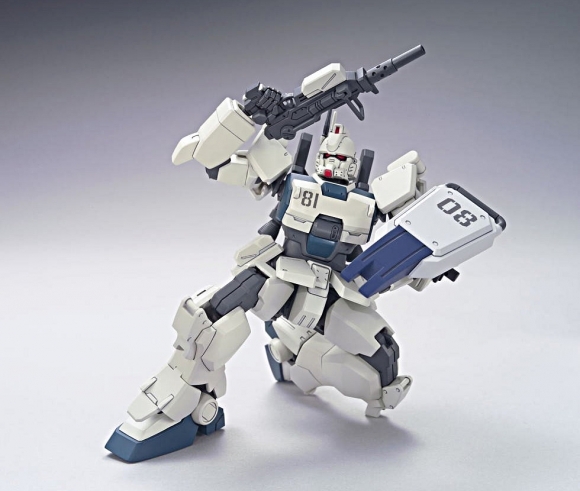 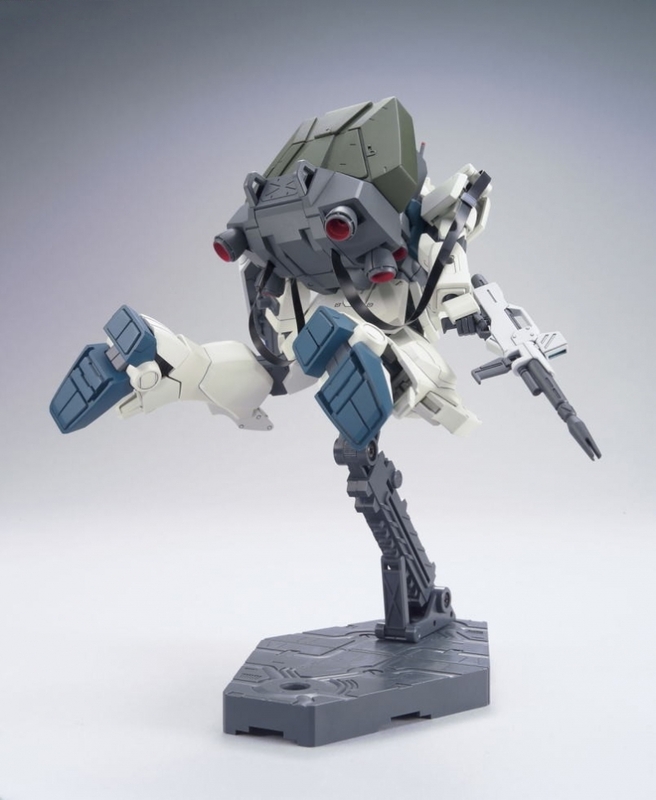 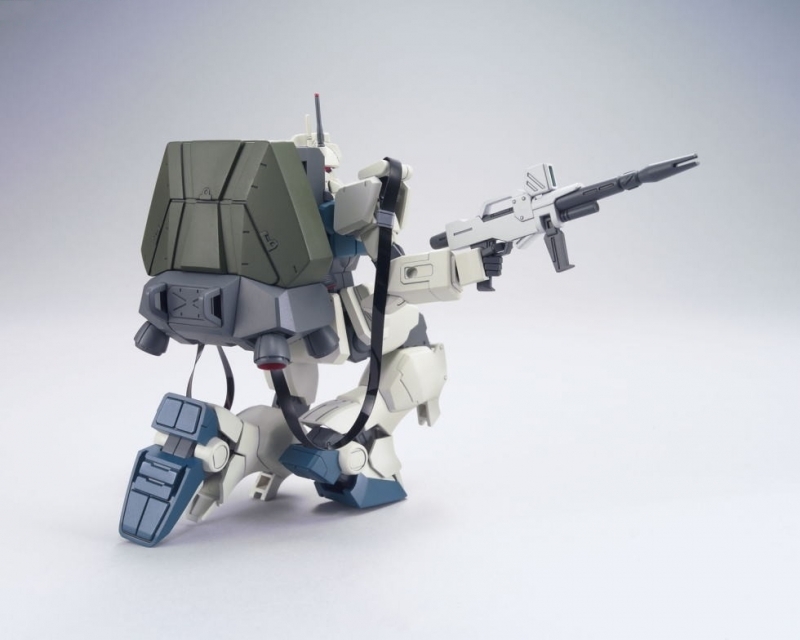 New model of the popular machine from the Ova 08th MS Team features enhanced articulation and new refined proportion. 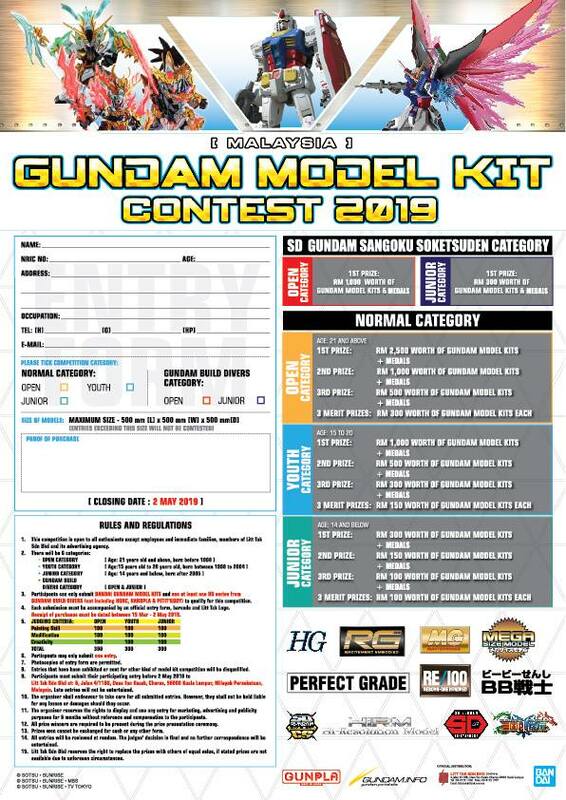 Beam rifle, shield, beam saber and machine gun included. 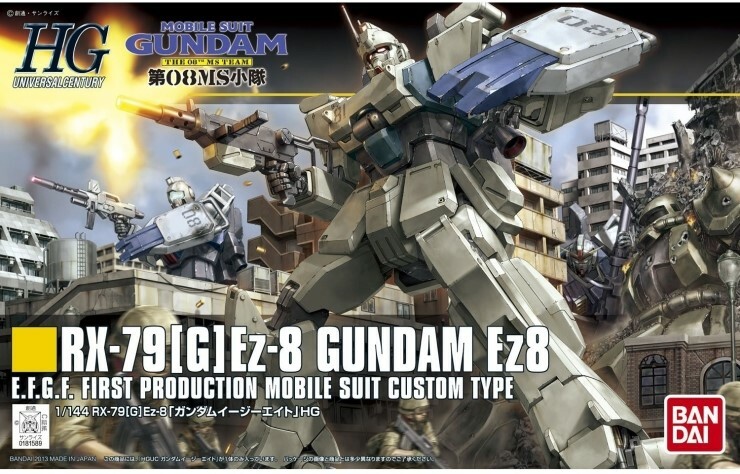 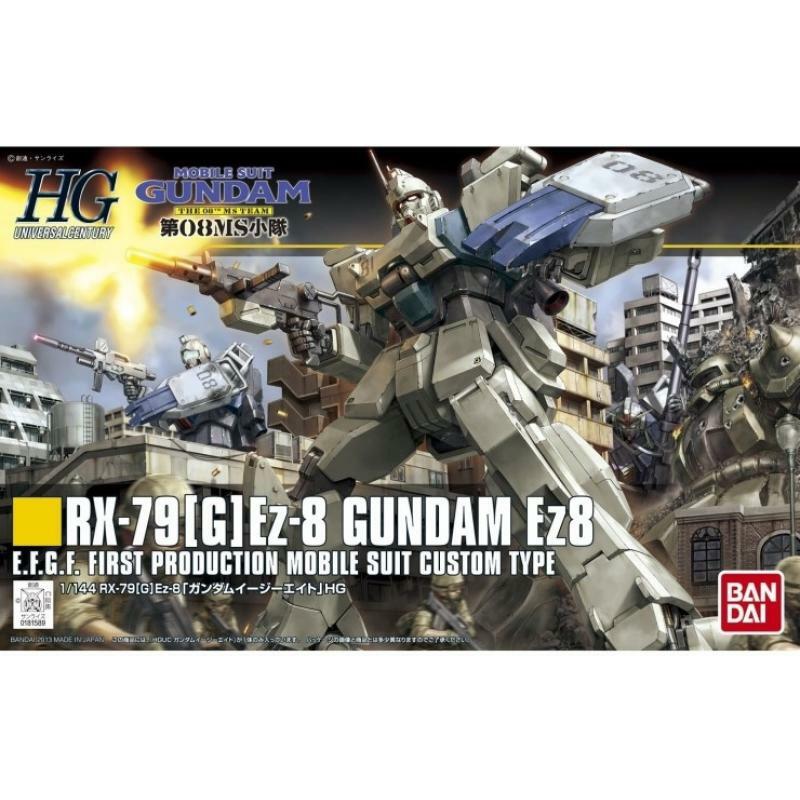 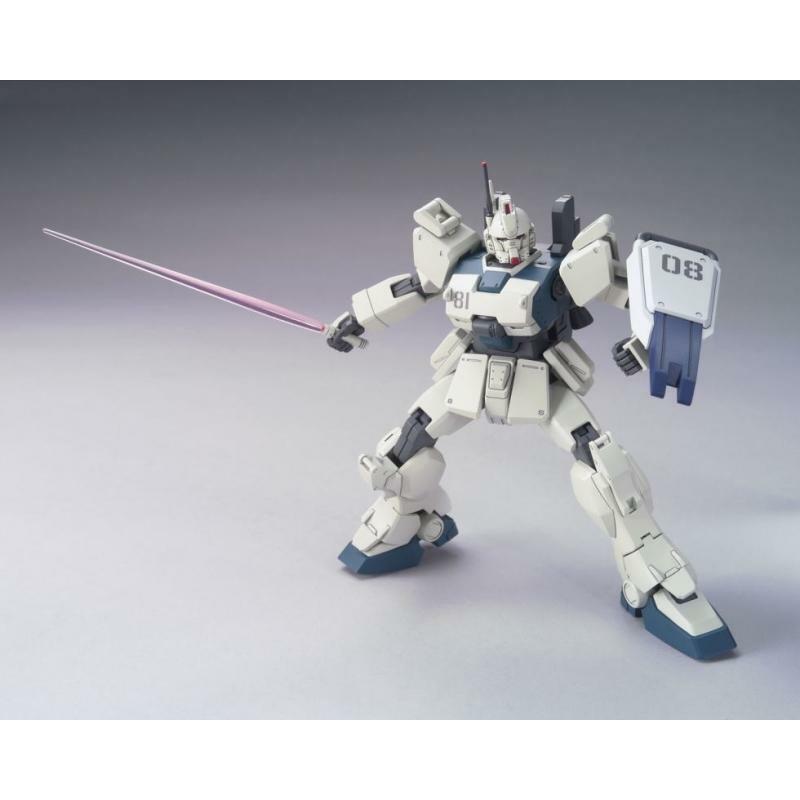 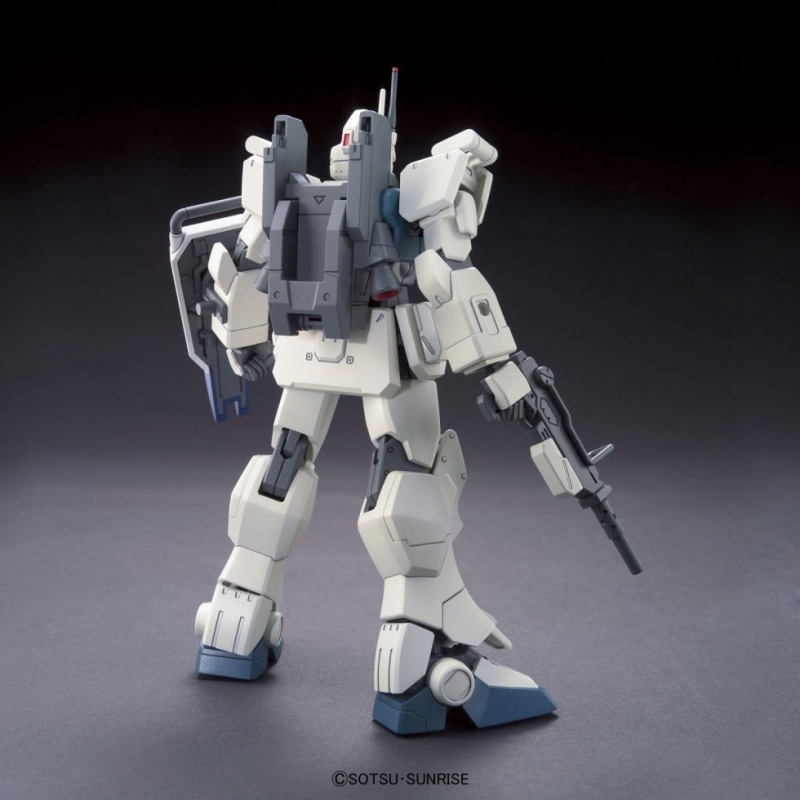 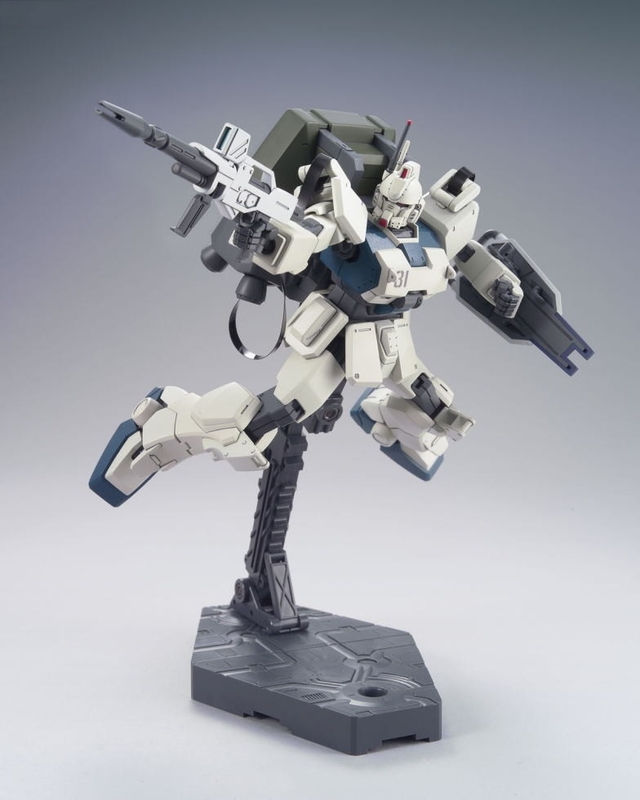 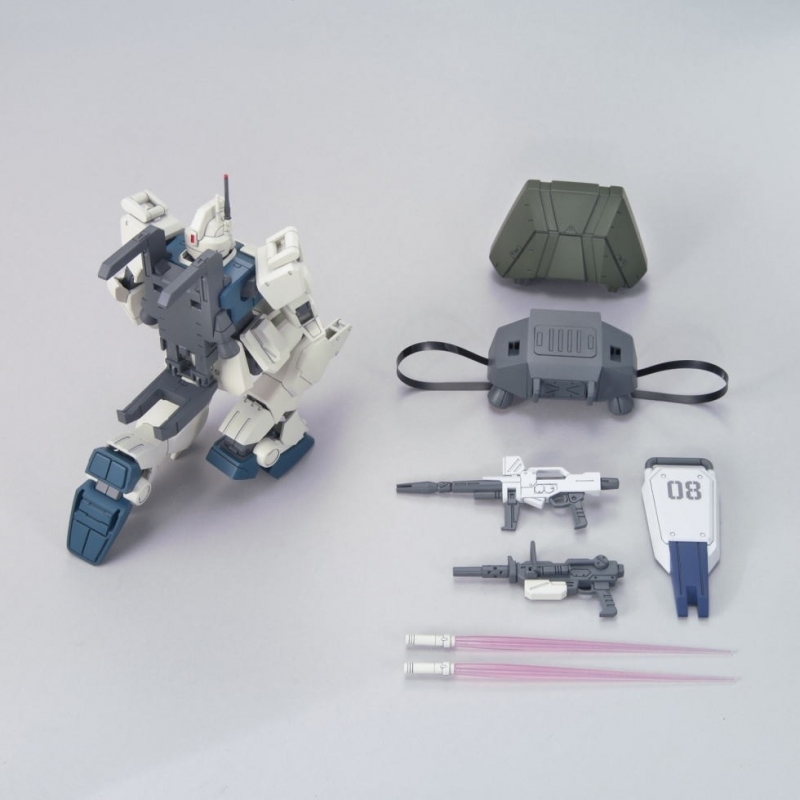 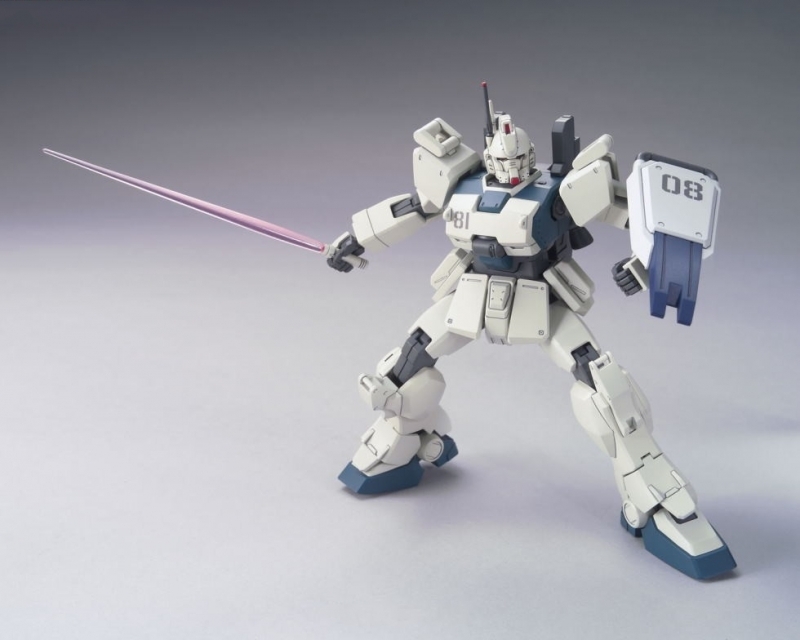 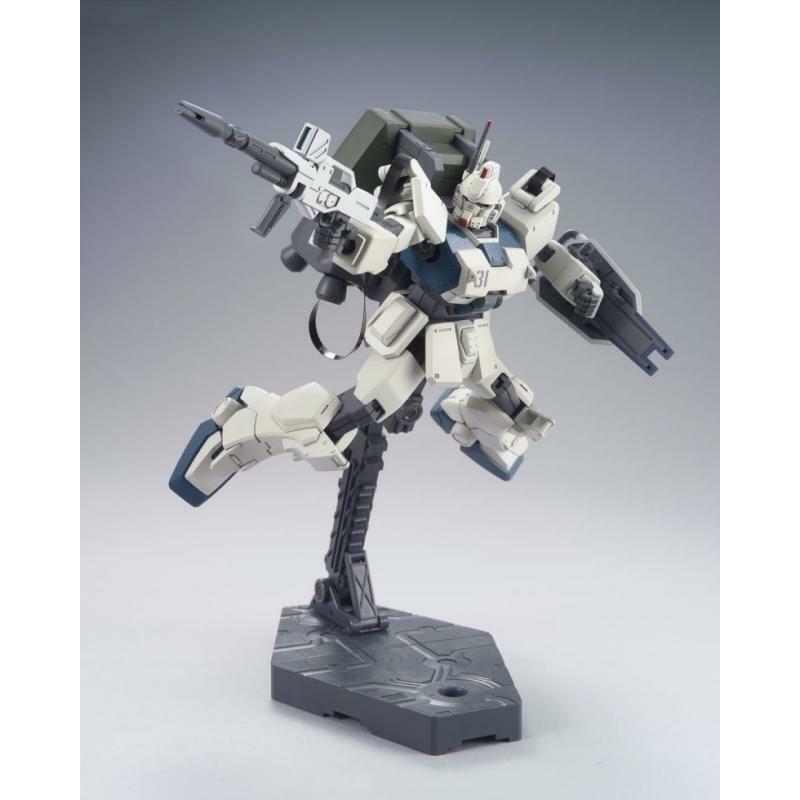 Parachute pack may be interchanged with backpack on HGUC RX79[G] Gundam.